The resolution also touches upon the murder of Daphne Caruana Galizia. The European Parliament will today vote on a Tax3 committee resolution, which, among other things, calls for a freeze on golden visa schemes. 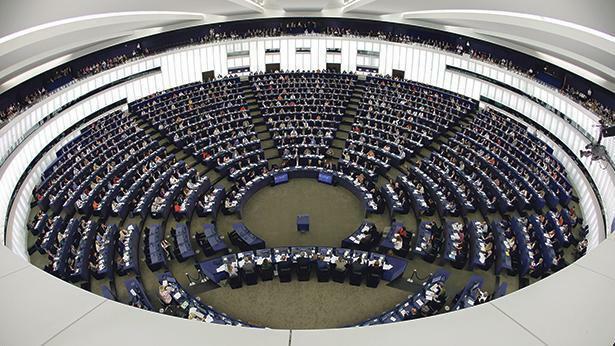 Malta and several other European Union countries faced a backlash in the European Parliament (EP) on Monday after they were labelled by various MEPs as being tax havens. During a debate about an EP Tax3 committee identifying seven EU countries as having tax haven characteristics, Maltese MEPs fended off calls for common tax rules. On the Malta front, the Tax3 resolution also calls for a joint investigation team to address serious doubts about the independence of any ongoing investigations on 17 Black, with the support of Europol and Eurojust. In the debate, Labour MEP Alfred Sant slammed “tax populism”. Dr Sant lamented what he termed as a “bias” against smaller member states in the EP financial crimes’ committee report. He said the report took a one-size-fits-all approach and disregarded the fact that tax flexibility was the only remaining competitive tool for small EU countries. Nationalist MEP David Casa also countered the onslaught by MEPs demanding tax harmonisation. Mr Casa said several proposals coming from the left would limit a country’s flexibility on taking decisions on their tax systems. During the debate, Pierre Moscovici, the European Commissioner responsible for taxation, called for unanimity on tax matters in council to be abolished. Instead, tax matters should be decided by a qualified majority, Mr Moscovici said. Spain MEP Miguel Urbán Crespo questioned when the Commission would name and shame Malta and Luxembourg as tax havens. Mr Urbán Crespo said “astronomical” amounts of tax were dodged thanks to loopholes in EU countries. German MEP Werner Langen said no progress would be made as long as member states had the ability to block a move towards a common tax base. Apart from the tax haven reference, the resolution also touches upon the murder of journalist Daphne Caruana Galizia. It notes that Ms Caruana Galizia was working on the biggest data leak she had ever received at the time she was assassinated ‒ documents from Electrogas. It also called for a joint investigation team to address serious doubts about the independence of any ongoing investigations on 17 Black, with the support of Europol and Eurojust. The UAE-based company 17 Black was mentioned in leaked Panama Papers e-mails as one of two firms that would pay up to $2 million into offshore structures owned by Tourism Minister Konrad Mizzi and the Prime Minister’s chief of staff Keith Schembri. A joint investigation by the Times of Malta and Reuters revealed that 17 Black is owned by power station investor Yorgen Fenech. The European Parliament resolution calls on the UAE to cooperate in the 17 Black investigation.